These are in such great condition. Mine never survived my games! These are not my originals. These were bought when I was an adult. My kid dolls were a mess! 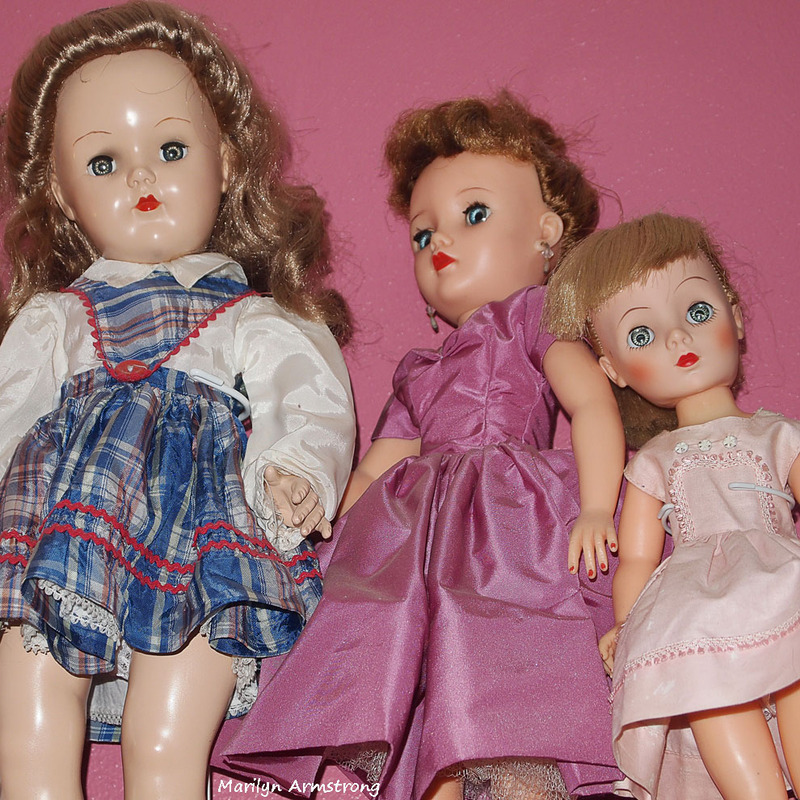 The reason dolls are valuable is because most of them were toys and were turned into junk. The few that we preserved are then worth more. Perfect for pink, don’t you think? They are heart and soul in the pink!